This is a special range of Italian Handmade, hand finished terracotta. The mixing and kiln firing process makes a product characterized by a wide range of hues and colour shades. The hexagon and rhomboids are produced in a honed and natural finish. Honed finish is as illustrated. The material needs to be sealed to provide protection. 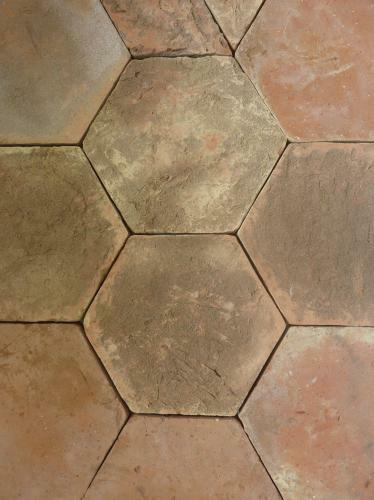 The hexagon and rhomboid can be blended in a number of patterns to make your space unique - see images below.